The Stallion SEO Advanced Options can be found and configured under “Stallion Theme” >> “SEO Advanced Options”. As with all Stallion SEO Theme options pages defaults are preset (Stallion runs out the box with limited setup), for a quick Best SEO options setup remember under the main Stallion options page you can load my defaults (what I tend to use as a starting point on my WordPress sites) via the setting “Use My Default Settings File SEO Version : stallion_defaults_seo.php”. This file can also be edited by you to change the defaults to match your needs. 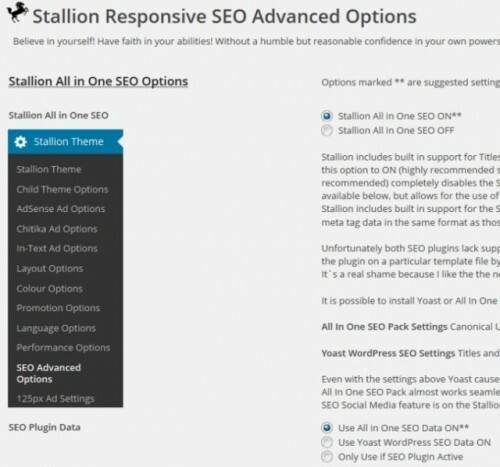 Below is a screenshot of the entire Stallion Responsive WordPress SEO Advanced Options page, click the image for the large version (over 1Mb image). The Stallion SEO Super Comments Plugin is based on the SEO Super Comments by Plugin Vladimir Prelovac who has created some useful WordPress SEO plugins. The original SEO Super Comments plugin is currently broken. The Stallion version is fully integrated into Stallion using features from other built in plugins and Stallion code, for example the super comments pages use the comment title plugin output for the title tag and uses the Stallion thumbnail feature. If you own well commented WordPress blogs this is a MUST use WordPress SEO feature, it generates search engine indexable post like pages from your reasonable sized comments, with a little input from the site owner it can generate a lot of longtail keyword SERPs your main articles aren’t targeting. This site for example currently has 374 pages indexed in Google, but less than 50 posts, pages, categories etc… which means there’s several times more Stallion SEO Super Comments indexed on this site than posts and pages! The theme spam guard works very well stopping comment SPAM and I am happy about it, I but i realise that one of the reasons I get so many spam comments (sometimes up to 150 a day!) must be because i allow author URL, Is there a way to turn off the URL only? 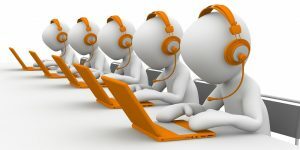 If not what is my best option to prevent comment SPAM? Akismet WordPress Plugin (free) is the most popular WordPress comment SPAM plugin and works quite well. I own a WordPress site with over 25,000 comments and have turned on ‘automatic’ comments (comments aren’t held for moderation as long as they don’t have two URLs in the body of the comment) and Akismet filters at least 99% of comment SPAM. Yesterday was checking comments on that site (check that site every couple of weeks) and Akismet had filtered over 1,000 spam comments since my last check, checking through what had passed Akismet found a couple of SPAM comments that got through which I manually marked as SPAM (I understand Akismet learns from us marking SPAM as SPAM). Stallion has built in comment link features under the Stallion Advanced SEO options page section “Links and Comments”. The site I mentioned above has author URLs disabled (via Stallion : authors can’t add an author URL and Stallion doesn’t show an author URL, also comment body links with format htt://www.example.com are not converted to clickable links) and it makes little difference to the automated SPAM that’s posted by SPAMMERS using SPAMBOTS since it’s automated (doesn’t cost them much time to add your sites URL to their SPAMBOTS list of blogs to SPAM). Stallion also protects your site from wasting link benefit via author URLS and in the case of SPAMMERS author links that can get your site a penalty. If you have author links turned on in Stallion (like I have on this site) your commenter’s can add author links, but they are invisible to Google etc… Your visitors can click the links and so you can reward your commenter’s with click through traffic, but there is no SEO damage to your site and no SEO benefit to your commenter’s sites (no link benefit is passed or lost : with all other WordPress themes I’ve seen comment author URLS have nofollow added to them and this deletes link benefit!!!). For most sites I use Akismet, allow author links to be added and shown and have WordPress set to moderate all new commenter’s first comments. When I approve a commenter’s first comment all future comments are approved automatically. This is a really good setup for an important site you put time into and want good comment SPAM protection. It’s been 2 weeks since I implemented the “auto thumbnails” feature (found in the “SEO Advanced” menu section) on my main index page and in comparison to the previous 2 week period I have seen improvements, with time on page increasing, and exit rate and bounce rate both decreasing slightly. I have made a few other minor design changes in the meantime but I think this supports the idea that the thumbnails feature could be a good way to keep visitors more engaged with content and on the site longer, especially if you have posts with some nice attention-getting images. Either way, I think it definitely makes the main page look sharper. So for anyone else out there I’d recommend trying this feature if you’re not already. Just a note on getting the right image to show if you have a preferred image–in my experience I have found that the “featured image” option doesn’t seem to work, unless I am somehow setting it wrong, but I don’t think so. Rather, it seems the last image inserted into the post is the one that it automatically treats as the default image. So something to keep in mind if you are doing a post with multiple images and wish for a particular image to be displayed. When I tested the auto thumbnail feature I would always add the featured thumbnail last and it would always work as I expected. Last image added (date wise) to a post via WordPress, if it’s the featured image you added last to the post it’s used, if after adding a featured post you insert an image into the post that’s used. Ideally it would always use the featured image first, so will see if I can get that working in a future Stallion release. If using the featured image is essential for a particular post a work around is remove the featured image and add it back as the featured image so it’s the last image added. Can you please explain a couple of things a bit further please. 1 – Where do I set it to automatically use the ‘featured image’ that I have currently uploaded to each post? When I am on my ‘all posts’ page I only see the ‘featured image’ I originally used and not the Stallion Featured Thumbnail uploaded under the “Stallion Featured Thumbnail Options – upload file” feature. I only see a grayed outline with a camera icon in the corner. Is this normal? 2 – as for the keyword phrases – from and SEO perspective do you recommend using the same 4 keyword phrases on all posts or change them depending the Keywords I am going after on that post? Of course they are all site specific. 3 – Can you please explain or link me to where to find all the ‘cool features of the SEO post widget’ you speak of above? I am working on updating my entire site by adding 4 keyword phrases to each and if I understand correctly, I should perhaps reload my featured image to be the last image so it will be used with the post widget. Thanks for taking time to reply. There’s multiple Stallion featured thumbnail image options depending on which images you want Stallion to use. For performance SEO reasons I use these settings. This means the feature will only use the Stallion Featured Image (so automated part is turned off), so every post would need a Stallion featured image set. For less effort, but not as performance SEO friendly use the other options. They aren’t as performance SEO friendly because the final automated check has to loop through a posts attached images which requires database queries. If looking for the fastest site possible don’t use automated, always set a Stallion featured image. Though the automated thumbnail feature looks for the last image added to a post it first looks for a Stallion featured image, WordPress features image before finding any image as a last resort. If you set a Stallion or WordPress featured image on all posts it will never get to using any image. On this website 99% of posts have a Stallion Featured image set, so no reason to have the automated part of the feature turned on. Consider the automated part as a lazy way to add image to a site, if it’s an important site don’t use automated. The search comments feature is a work in progress, it’s very basic, try to stick to simple searches. If you searched for “FTP 777 Permissions” with the speech marks it will only find this comment. Same search without speech marks will again only find this comment even though there are other comments using those 3 terms. It literally looks for the entire phrase. Every WordPress post should have their own unique keyword phrases. Every post should be optimized for a unique set of SERPs. There’s a lot of information on the site about the SEO Posts Widget, start at SEO Posts Widget. A good way to find relevant comments etc… on the site is via https://stallion-theme.co.uk/stallion-responsive-theme-recent-comments/ where near the top is a “Google Custom Search Box”, you can search for stuff like SEO Posts Widget and Google will show the most relevant indexed pages. In the Stallion 8.2 update (working on it) I’ve added the custom search for to the main Stallion Theme options page as well, so Stallion users will be able to search the site from their Dashboards. One of the most useful features on Stallion (I think) is this related keyword phases. I only use this on a few posts, as I think I have a few thousand posts over a number of websites and too lazy to revise everything. However, I am testing this now on key posts. I am big on Latent Semantic Indexing : LSI and synonyms. By adding related keyword phrases with synonyms this helps with SEO because you can vary your keywords so it does not seem to spammy. I will also play with excerpts meta descriptions etc, but I think related keywords is written write could be the most important signal for relevancy if your post is written naturally. All these extra SEO feature that are below the post area once you finish writing are welcome, even though they are extra work. My SEO strategy is to work these in an important posts. One funny result I notice that may or may not be related to: The All in One feature – I will let you know if I can not fix it. Sorry for all the comments, this last week I was in Disney (again) and riding a 15 foot artificial wave, I gashed my head and have 10 stitches after colliding with someone. Hence I am taking it easy, laying in bed with my laptop and playing with the new Stallion theme and discovering a lot of cool features and some old ones I neglected. Like how could I miss something so basic as the ‘SEO Post widget’ and all the cool options. Especially latest modified. My new mantra is to modify old posts and improve them as it seems Google is rewarding me for doing so, even more than new posts. So that plugin plus the related keyword phases, etc helps be modify old posts and improve them. If anyone has any other tips or tricks with Stallion, I am all ears. What features you use or find useful? My sites get a reasonable amount of traffic. Maybe in aggregate all my sites are over 20,000 views a day (maybe less than 10k post Panda, need to check and add them all). So I do well, but always looking for the next thing. 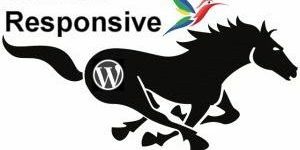 I can not write content, develop new ideas for websites (for example, I am now trying to see if I can make WP a dating site – have not been successful yet), spend time with my family, and hence I miss major features with Stallion or ideas with WP.